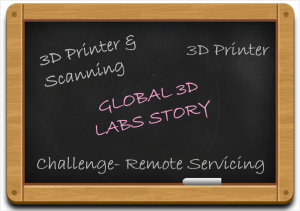 Global 3D labs is a startup by a group of your graduates. Gopal Krishna and Aviral Kedia from Manipal Institute of Technology, Manipal and Manish Amin and M. Shreyas Kudva from MITE, Mangalore. The idea was born when Gopal and Aviral were operating on their startup- Expiscor Technologies. Expiscor was a biomedical research project. During this time they realized the need for a ‘prototype’ development across the nation. They also came in contact with the rest two members while working on a development project. The team wanted to build a technology that is capable of addressing the needs of the industry. 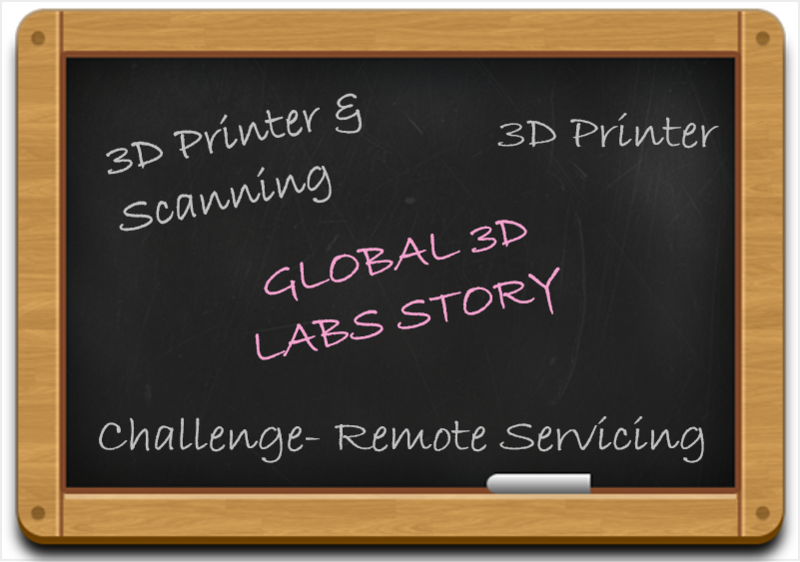 The group soon came up with the idea to start working on 3D labs. With time, the team grew up to be of eight members. The primary product 3D labs work on is “Pramaan 2.0”. It is a Fused Filament Fabrication (FFF) 3D printer having a build volume of 30x30x30 cubic centimeters. Pramaan 2.0 can print over ten materials. These include conventional plastics such as ABS, PLA, Nylon, and composites such as Copper, Laywood. The printer is also capable of printing filaments such as Ninja Flex and Flex PLA. The most likely part of this printer is, all the elements of Pramaan are sourced locally. Moreover, the printer is manufactured and assembled in India. Pramaan Mini is another printer for small and medium businesses, hobbyists, artists and art enthusiasts. This printer model has a lower build volume of 18x18x18 cubic centimeters. The Mini version allows the users to only print single and smaller parts of a relatively smaller print. This machine is also capable of printing with PLA, ABS and other commonly available 3D printing materials. Both Pramaan 2.0 and Pramaan Mini has an LCD support with an SD card connectivity making them as independent systems. Lack of awareness among corporate clients and private individuals about the technology was one of the most significant challenges. After months of awareness programs and efforts, they found that the market and the general public is quite aware of the technology and its benefits. Remote servicing was another big issue while working on Global 3D labs. Confronting clients at remote locations was a challenge. Although they tried to resolve issues over phone calls, they also had to travel to geographically distant places to sort out problems. The team has successfully supplied 3D printers to clients all over India including Indian Railways, National Chemical Laboratory, Bremer Engineering India, CMTI Bangalore and Innovation and Knowledge Park. These being the big clients helped the organization to set up digital labs and conduct training including corporate training as well. Apart from the products mentioned above, the team also develops customized printers for clients. The main aim of the company is to build and assemble 3D Printers rather than offering services such as providing customized parts for clients. The team looks forward to making “Pramaan” an off the shelf machine that the clients can pick up and start using without any delays. Also, they want to expand their boundaries to the international borders in the next two years targeting economies all over Asia and the Middle East. They wish to sell up to 1000 3D printers by the following years. The team is planning to develop 3D printers that are more compact in the FFF 3D Printer space and the Stereo Lithography (SLA) space. The team is also working on other technologies such as 3D scanning, ceramic 3D printing, and medical grade 3D printing.